Hi Guys! How was day 1 of the 30 Day Fitness Challenge for Women Over 40? Don’t be discouraged if it was hard. The first day is always tough. Stick with it, next week this time you will feel it become a little easier. The flip side to the exercise is your nutrition. Such an important part of your hard work. It would be way too easy to go in the kitchen and pig out after our body has worked so hard especially while it is craving the calories and nutrients it’s trying to burn. That’s when the real work begins, right? Being able to resist the quick easy processed foods. If you are like me, you still have some of those delicious foods hanging out in your kitchen and pantry. I did the unthinkable today…I threw away the last of the junk. I know, it was a little painful but with the kids going back to school tomorrow, I knew it would be left to me to eat it…all. So out it went. Why tempt ourselves unnecessarily, right? After my workout today I was craving some serious food. Take a look at my breakfast…it was a nice break from scrambled eggs and oatmeal. The few minutes of extra prep and clean up time was worth it. 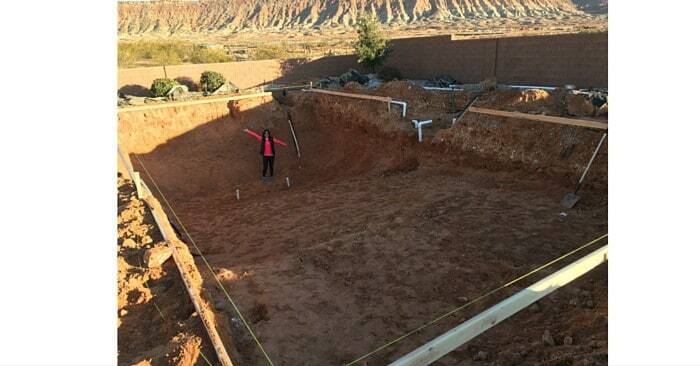 It took me about 12-15 minutes to get it ready – not bad, I’d say. 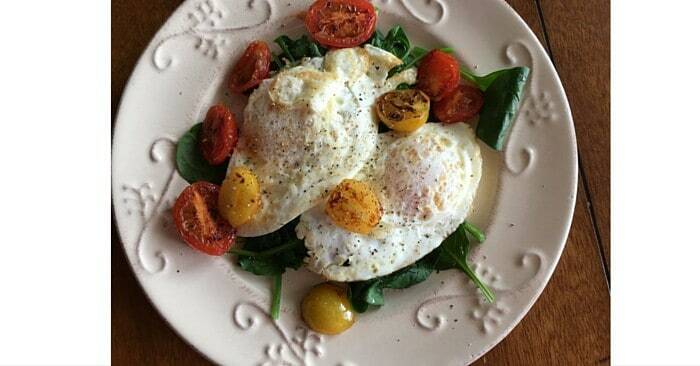 I lightly steamed a couple of handfuls of spinach, roasted a few grape tomatoes, cooked 2 eggs over-easy and viola`! Add to that a protein shake and my mouth, stomach and muscles rejoiced! Remember my post about how bad sitting for too long is for you? If you don’t remember, you can check it out here: Prolonged Sitting is Killing You. 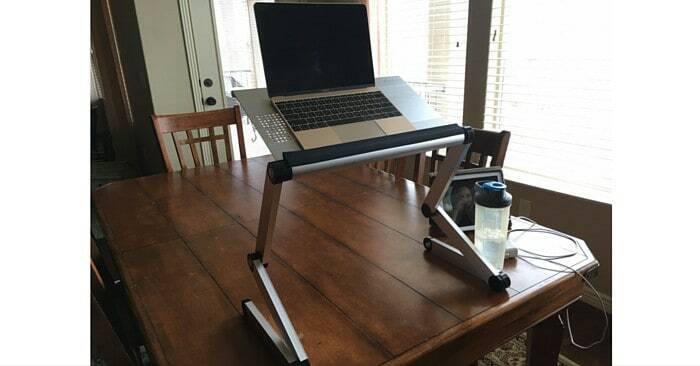 We bought a standing laptop stand for Christmas and I love this! It is adjustable in about a gazillion ways. In the past, I have used our kitchen counter to work while standing, but even that was a little hard on my neck. This is amazing. I highly recommend it! You can find it right here at Amazon! 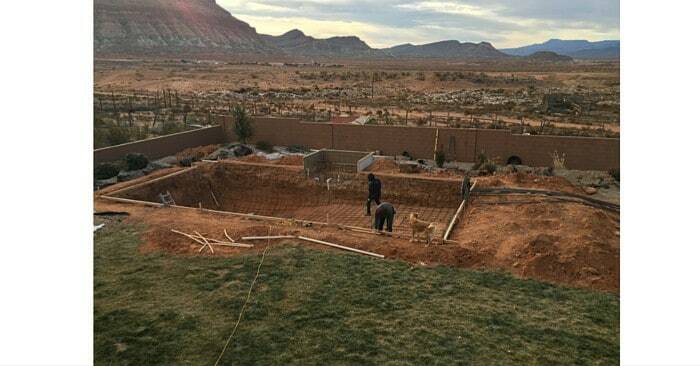 If you follow me on Instagram, you have seen we are having a pool put in our yard! Our dogs, especially this one, loves hanging out with the workers. He stays outside with them the entire day! Okay, so let me know in the comments section below how your first day of the fitness challenge was today! I am excited to hear. Don’t forget, if you want a little more support, join me over on Facebook in our group, Women Over 40 Losing Weight and Living Healthy.